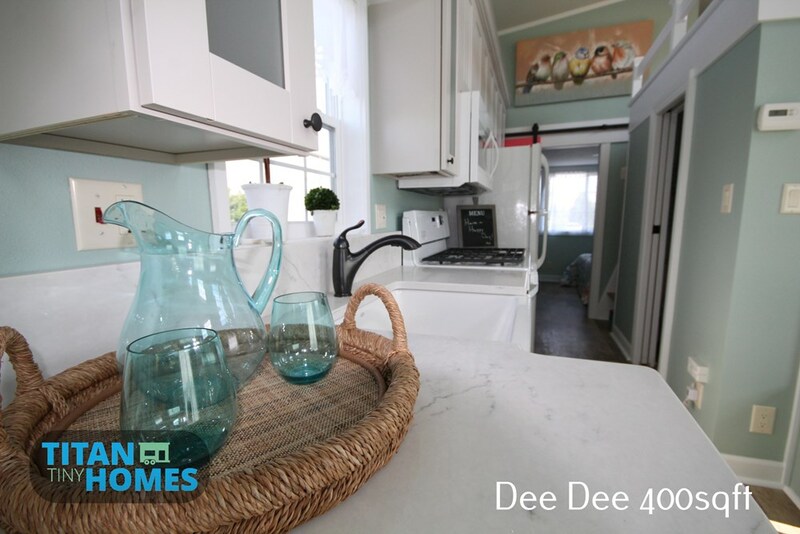 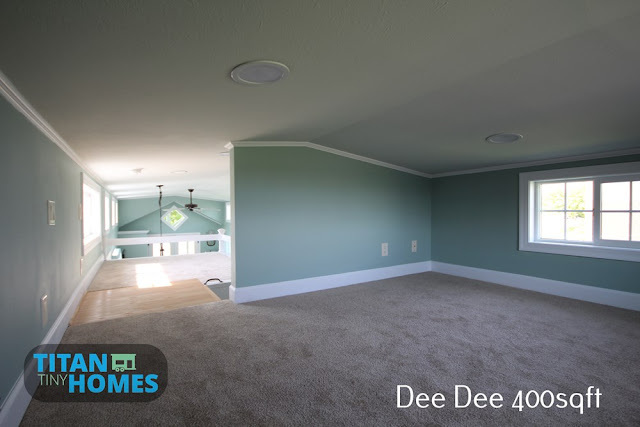 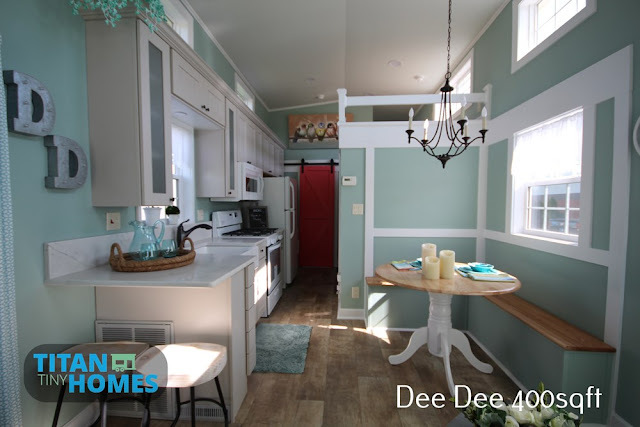 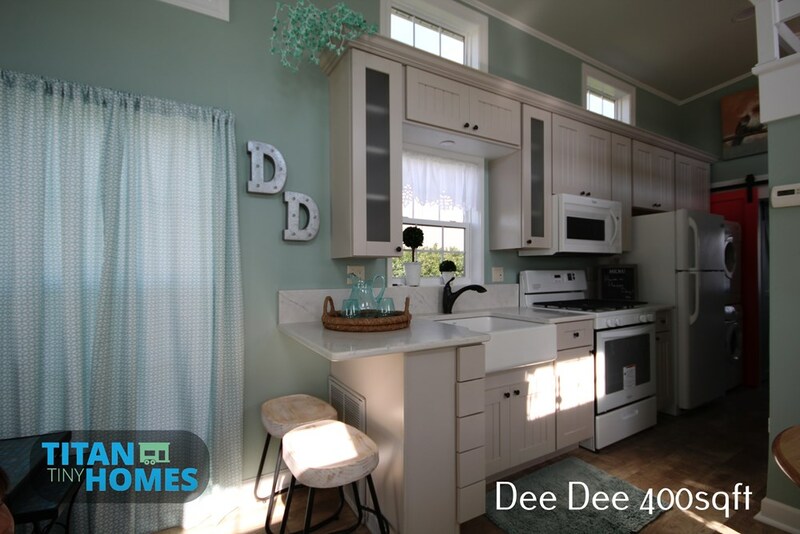 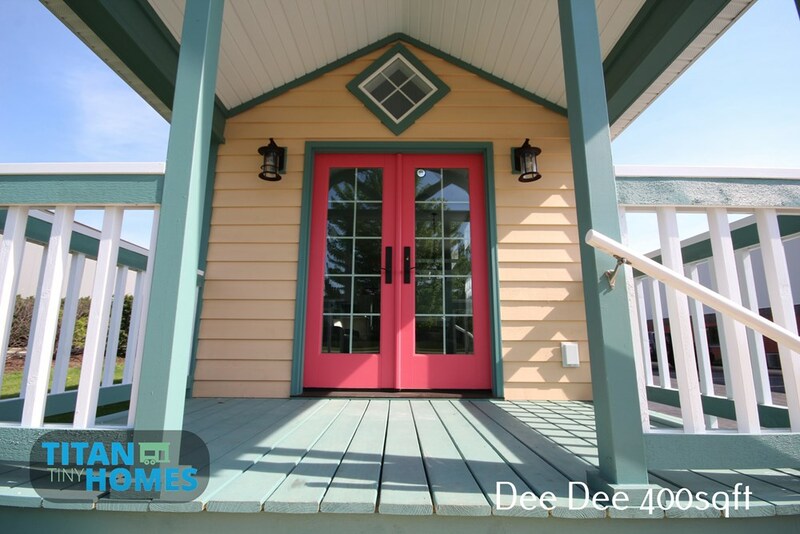 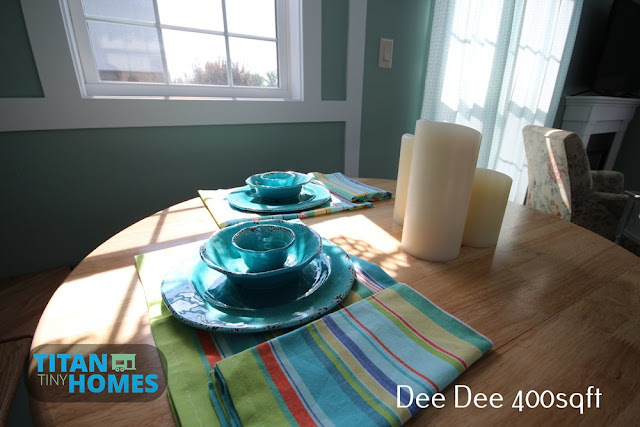 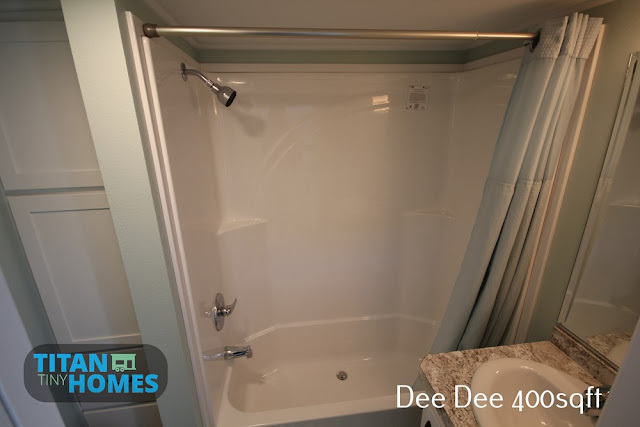 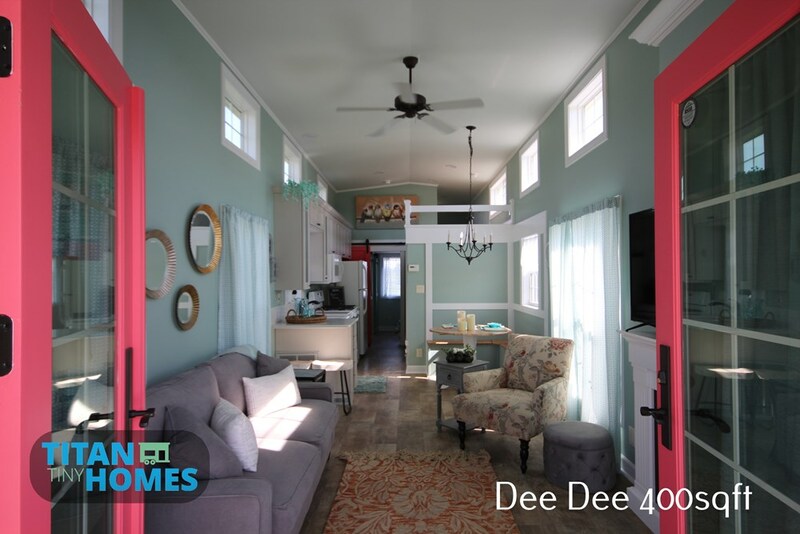 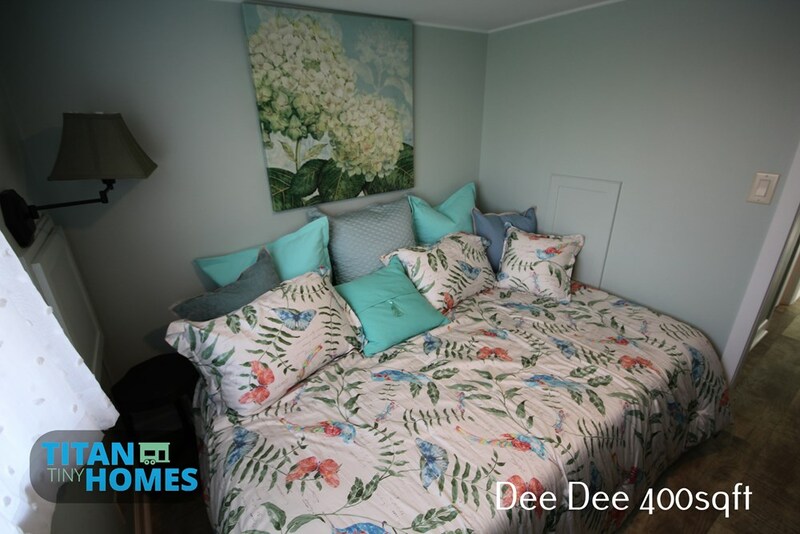 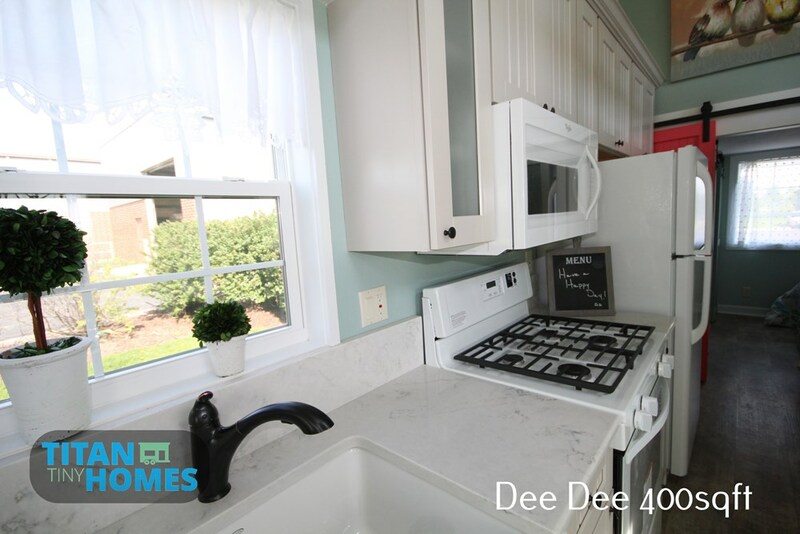 If you'd like to downsize but maybe need a bit more room for your family or stuff then the 400-sq-ft Dee Dee model may be perfect for you! 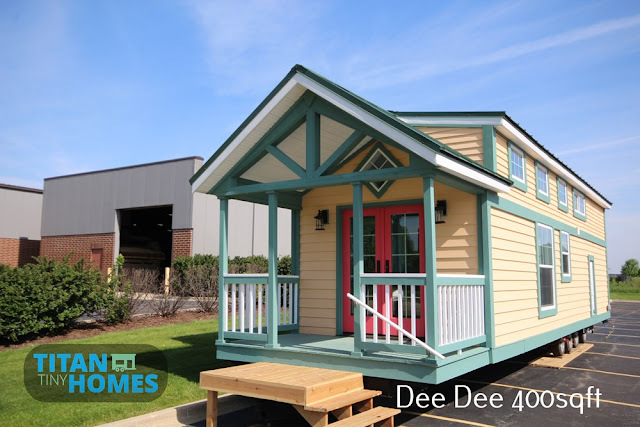 Still small but with a bit more square footage to roam around in. 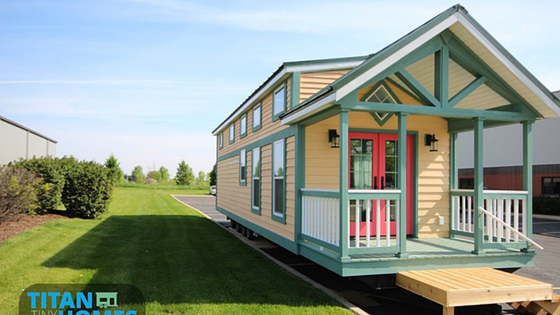 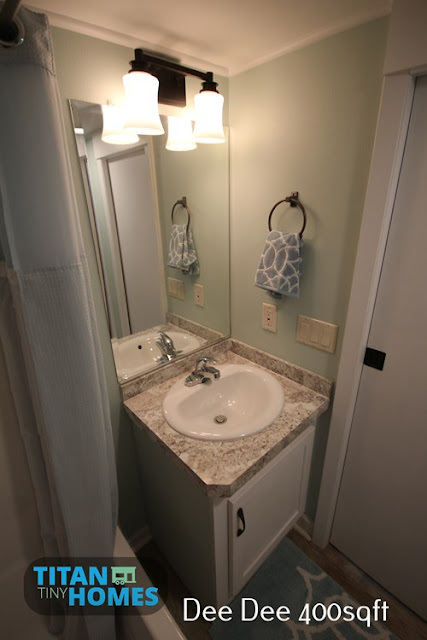 Designed and built by Titan Tiny Homes, it's the largest unit available from the company at 37' x 11'6". Inside is a bright open layout with two bedrooms- one on the ground floor and another in the loft. 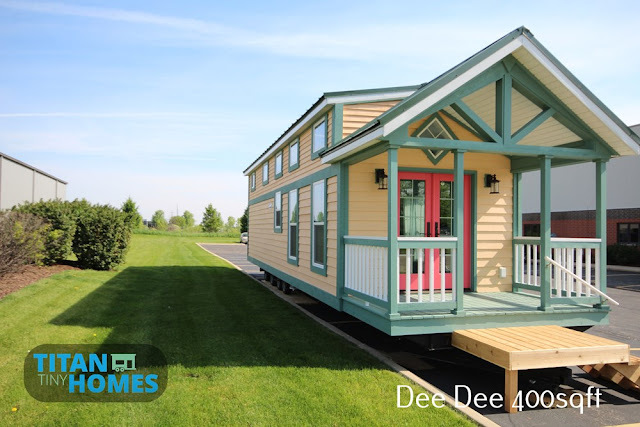 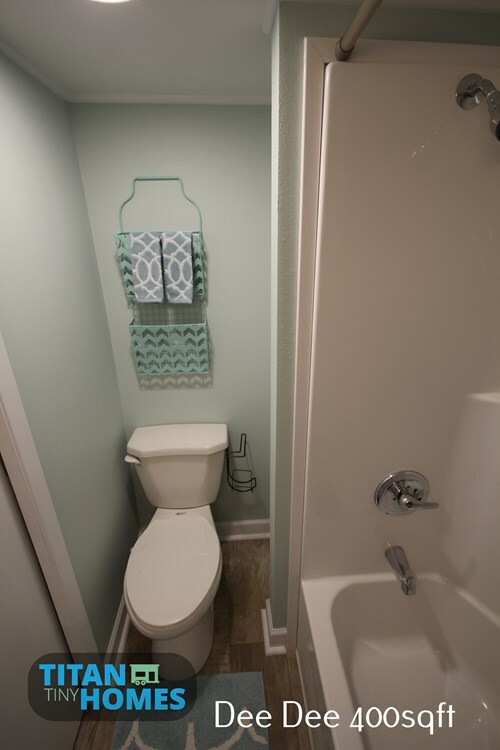 There's also a kitchen provided, a lounge area, and a full bathroom with a tub and flush toilet! 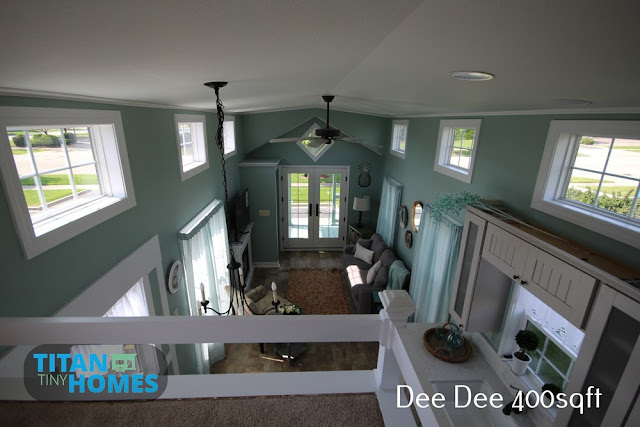 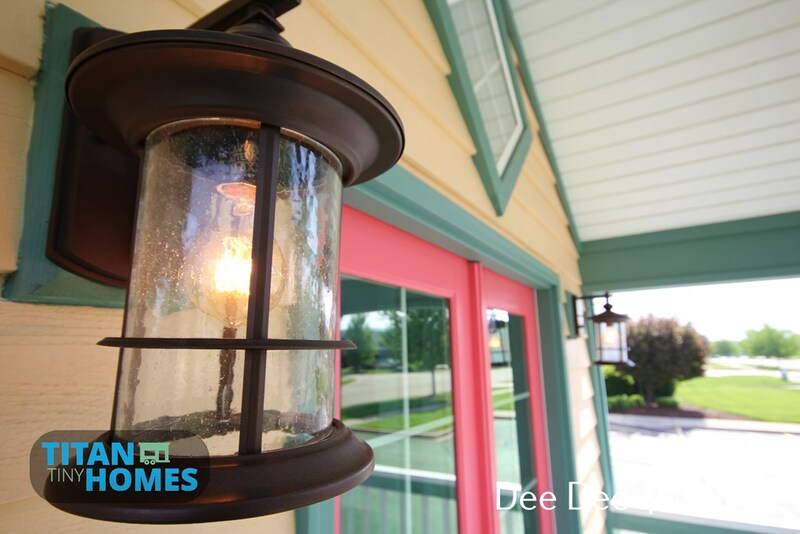 Additionally, a covered front porch is also provided- perfect for relaxing on with a cup of coffee first thing in the morning! 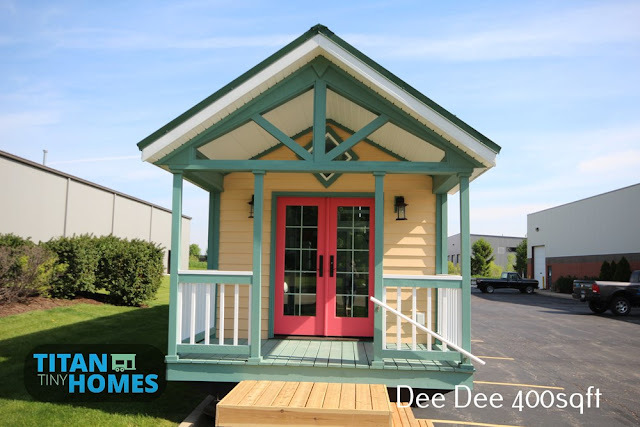 For more information and/or to order, reach out to Titan Tiny Homes here!